In recognition of Reformation Day, I thought that it would be good to share a little from my Martin Luther “pilgrimage” I took with my two sons while we were in Germany. 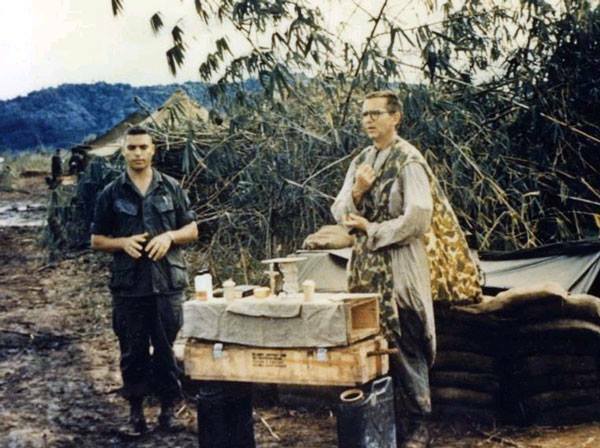 This was a great experience for me (hopefully for my sons, too!). Not just because of the content of the trip but because of the participants. It was one of those “just us guys” things that we were able to do in an exciting location. It would have been nice to take in each of the sites in order of Luther’s life, but that would have been too many miles so we took the most economical route. For the purpose of this Travelogue, however, I’m going to go in chronological order. Martin Luther was born in Eisleben, Germany 10 November 1483. The house where he was born burned down in a fire but was faithfully and lovingly restored to the exact specifications of the original. 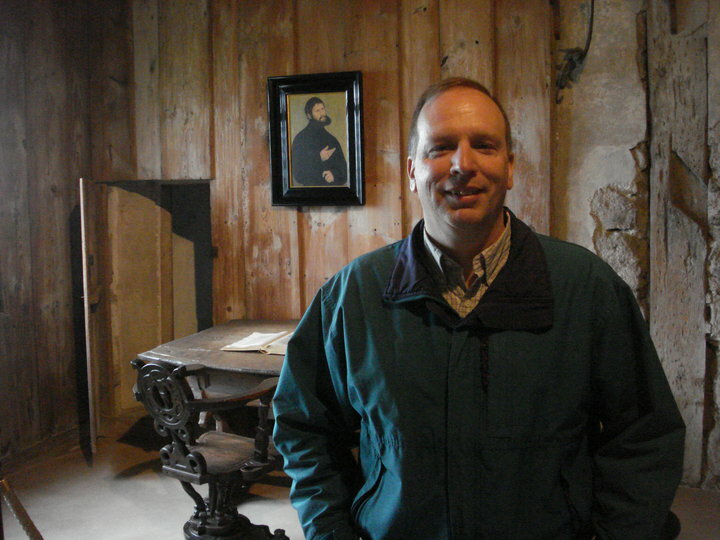 We toured the house to see how it looked in the 15th century when Luther was born there. Part of the house also houses a really neat museum about Martin Luther and his family history. This town of Eisleben is alive as a significant place in Lutheran history; in fact, it’s known as “Lutherstadt Eisleben” (Luther-City Eisleben) and hosts visitors from all over the world. 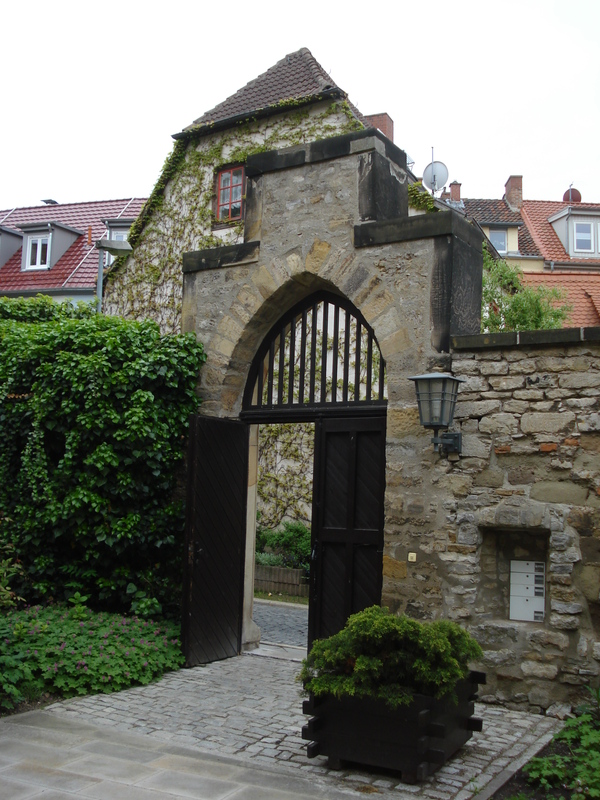 After nearly losing his life in a storm then committing it to God’s service, Martin Luther went to the Monastery of the Hermits of St. Augustine in Erfurt. It was here where Luther began studying to be a priest in the Roman Catholic Church. the campus is now used for conferences and study as well as a guest house. My sons and I were able to stay the night here, right down the hall from where Luther spent so much time! 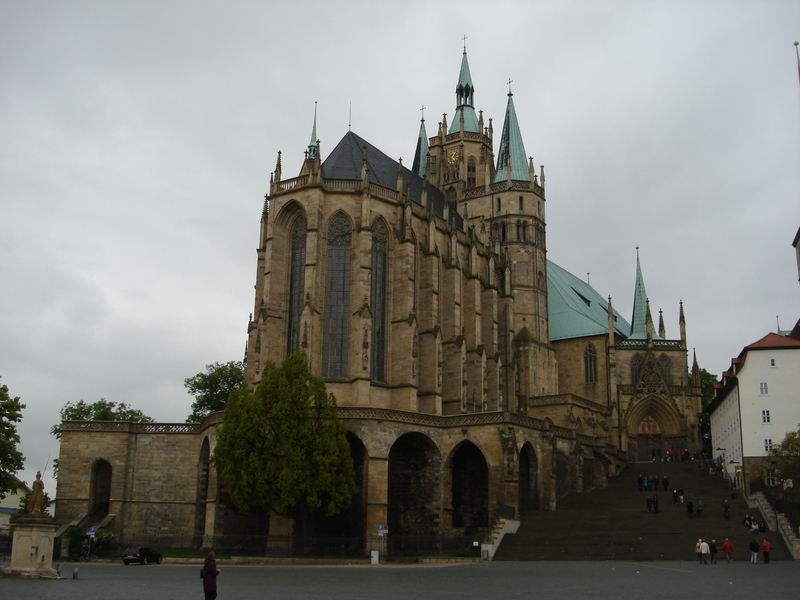 It was in Erfurt where Luther celebrated his first Mass, which didn’t go so well (you’ll remember if you’ve seen the recent movie “Luther”). 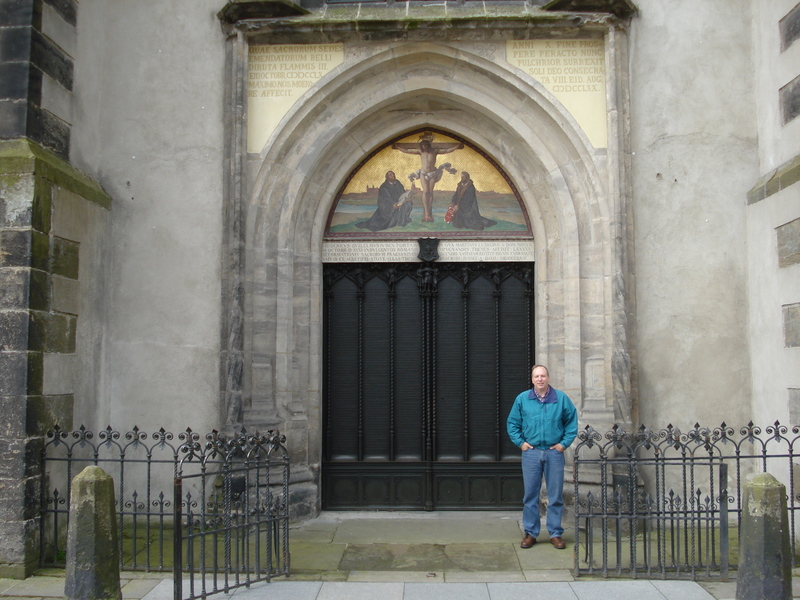 Also, at the Erfurt Cathedral, Luther was ordained as a Roman Catholic priest on 4 April 1507.
his 95 Theses to the church door, where other notices and inquiries were posted. My boys and I worshiped at the Castle Church the Sunday that we were there and after the service exited through that famous doorway. 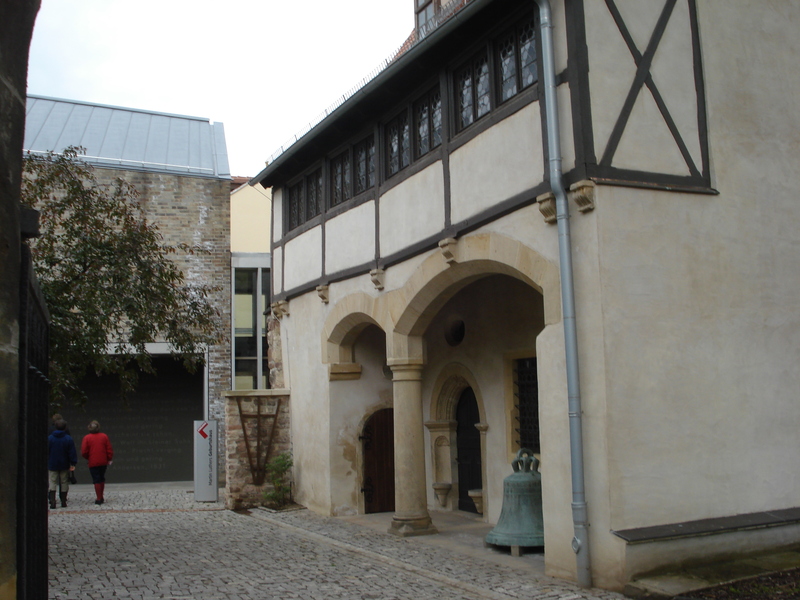 Protestant vicarage where Luther and his wife, Katharina von Bora (who he married in 1525) lived. 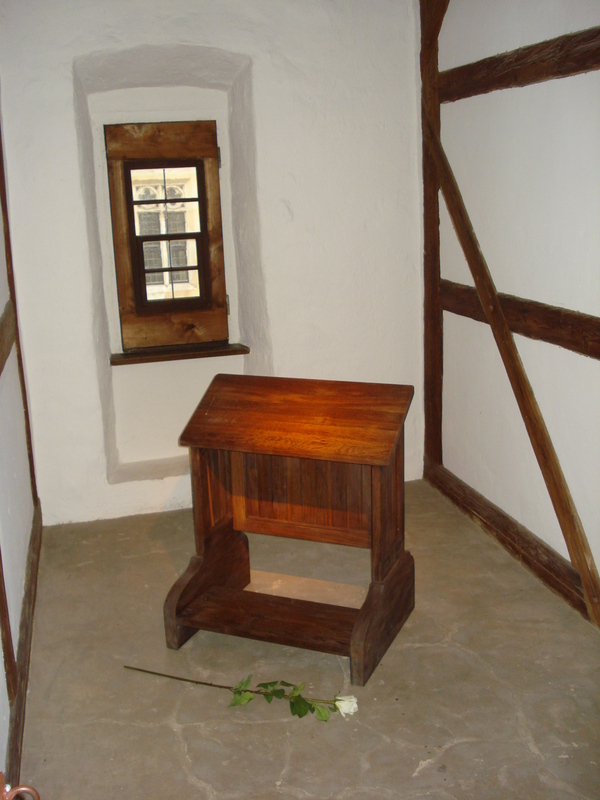 One of the main rooms of their living quarters has been preserved just as it was when Luther’s family lived there. life. It was here, when defending his position, that he boldly declared, “Here I stand!” Sts. Peter & Paul Cathedral would have loomed large over the city while Luther made his famous defense. 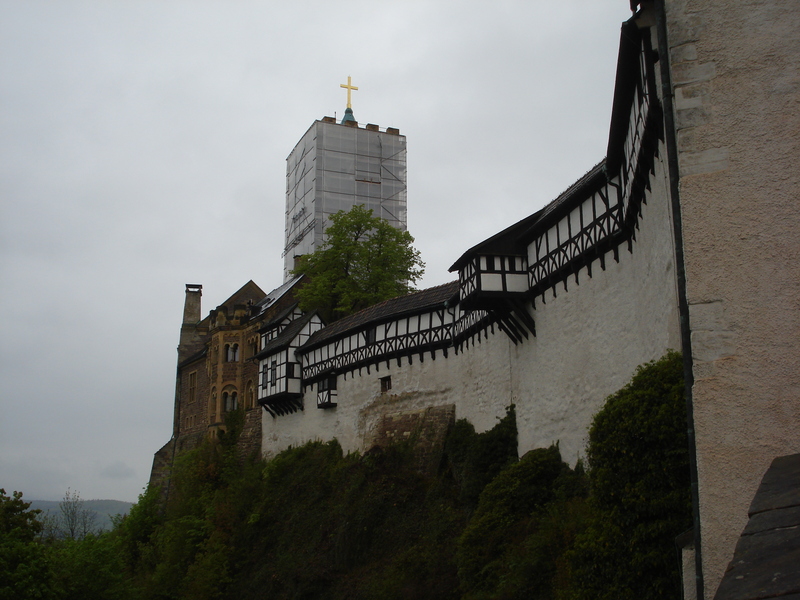 By 1521, Luther was hiding for his life at the Wartburg Castle which is said to have been built in 1067 by Louis the Leaper, ancestor of the landgraves of Thuringia. 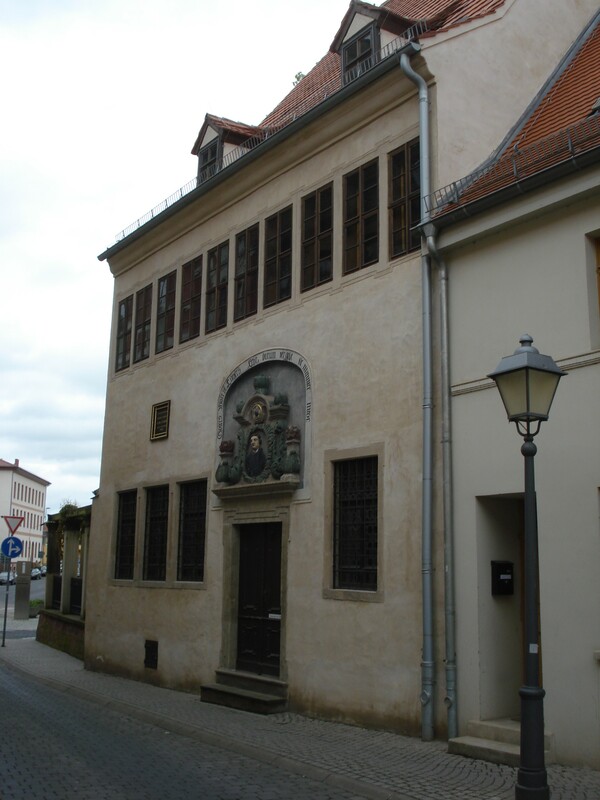 Luther lived here from 4 May 1521 until March 1522. 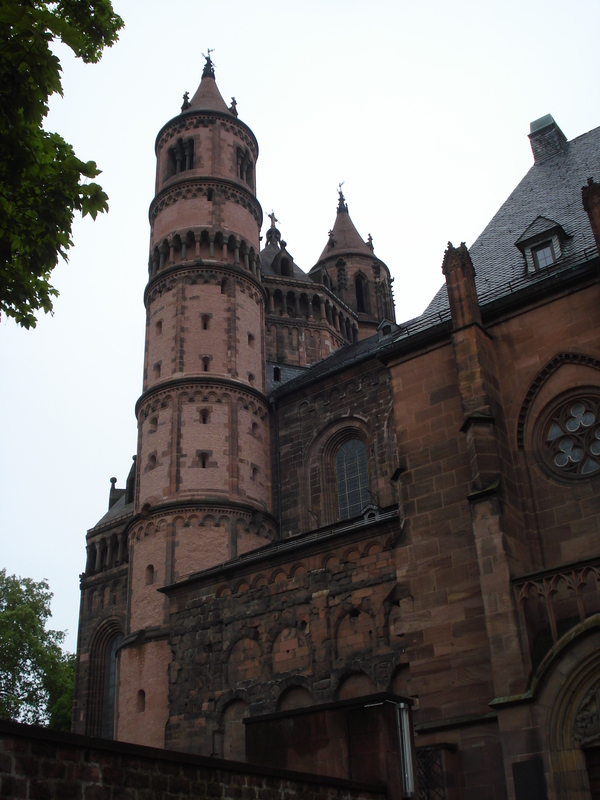 It was here that he translated the New Testament from the original Greek into German. Eisleben, to settle a dispute. While here he fell very ill and eventually died on 18 February 1546. The house where he was staying was that of the town’s clerk and has been preserved as a memorial. 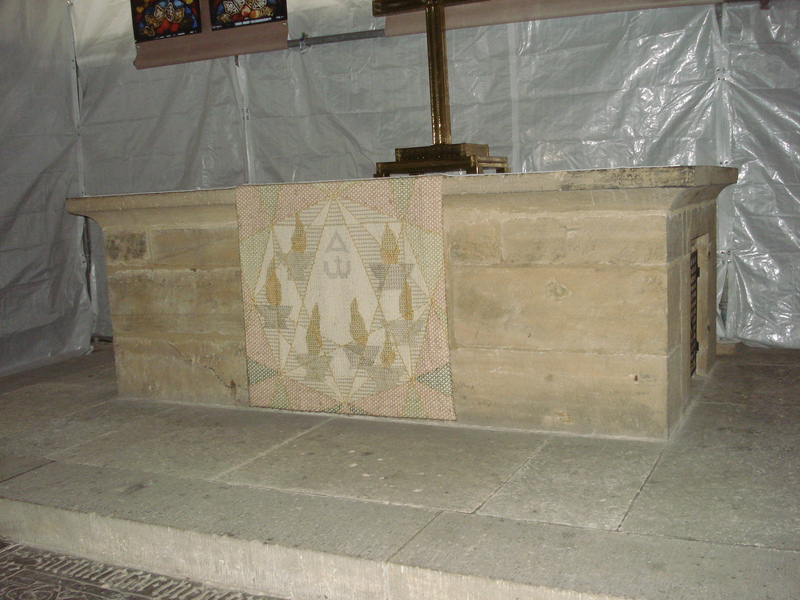 Luther’s final resting place, however, is in the Wittenberg Schlosskirche (Wittenberg Castle Church) along with that of Phillip Melanchthon, a contemporary of Luther’s. If you are ever in Germany, I would highly recommend visiting any of these sites, though I think that if you had to choose one, Wittenberg would probably be the best. 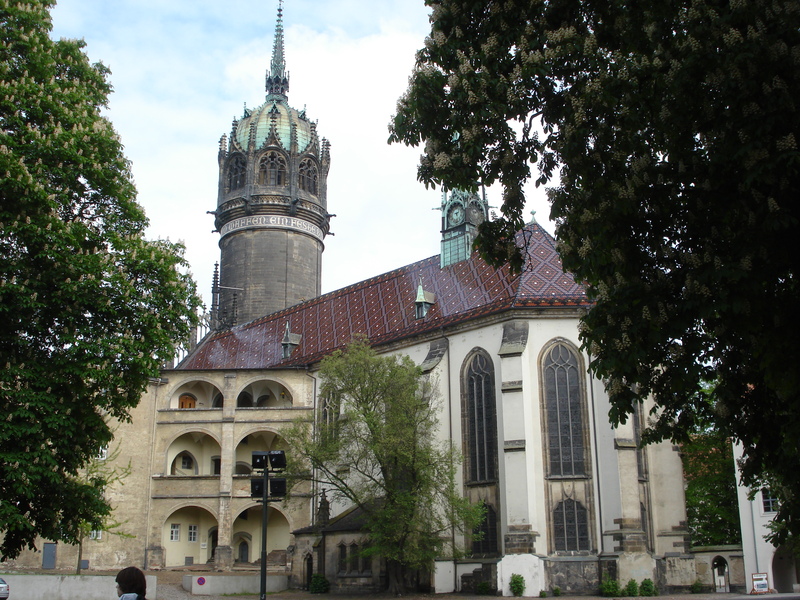 Wittenberg contains the famous Castle Church where Luther nailed his 95 Theses, the City Church where he often preached, the Monastery of the Hermits of St. Augustine where he and his family lived for about 35 years, and also the home of Phillip Melanchthon another important Lutheran figure. 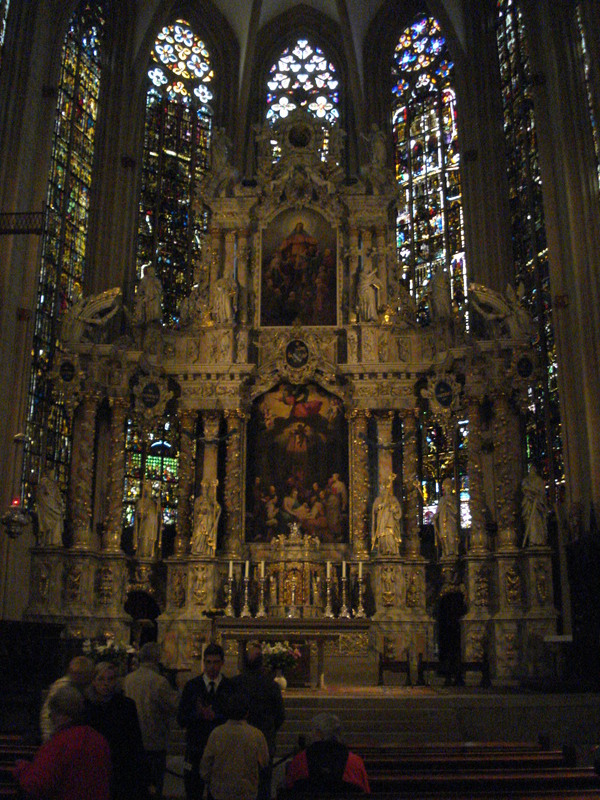 was present when Luther would have celebrated his first Mass. 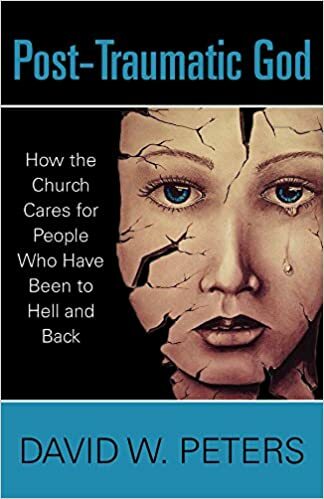 Any site is meaningful, however, and when allowed to dwell on its significance it nearly transports you to a time in Church history when God spoke clearly to faithful men and women like Martin Luther to bring about a change in the Church that would allow His message to move forward for generations to come. The influence of the German Reformation was felt around the world and would eventually have an impact on the English Reformation which culminated in 1536 when Parliament passed the “Act Against the Pope’s Authority” which severed their last remaining ties to Rome. This set the stage for the Church of England to become what it was when John Wesley became an Anglican priest. But that’s a story for another Travelogue . . .